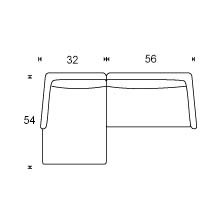 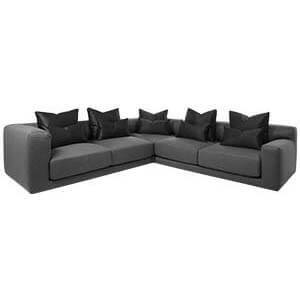 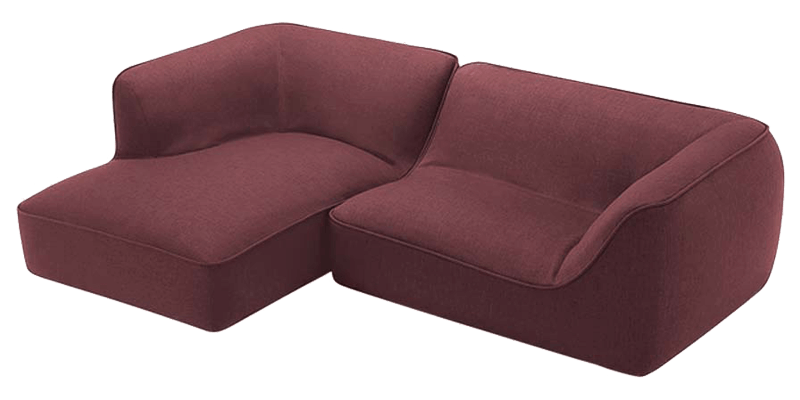 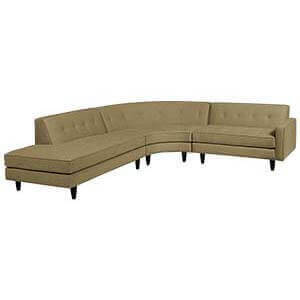 A relaxed l shaped sectional sofa, it sprawls close to the floor making itself perfect for lounging. 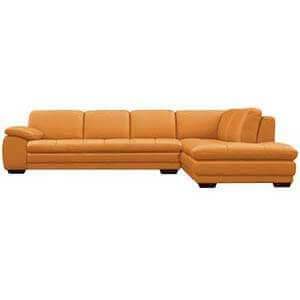 The tight cushioning and wooden base ensures it still maintains shape and is durable enough for regular use. 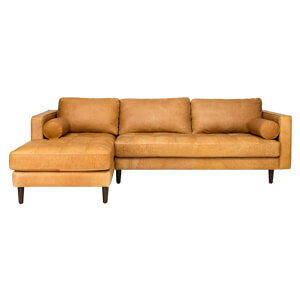 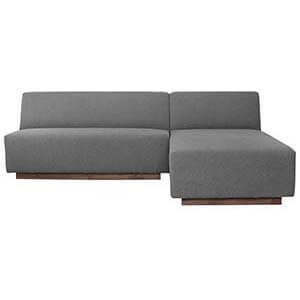 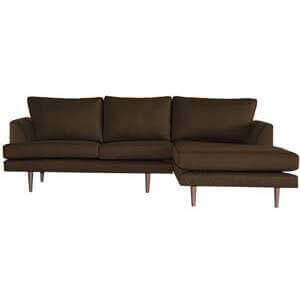 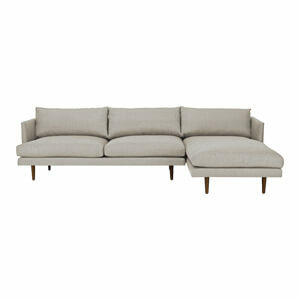 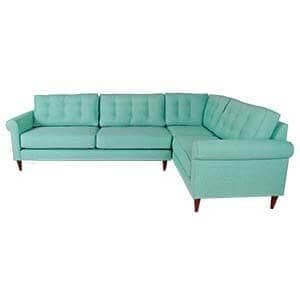 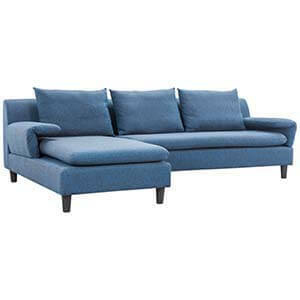 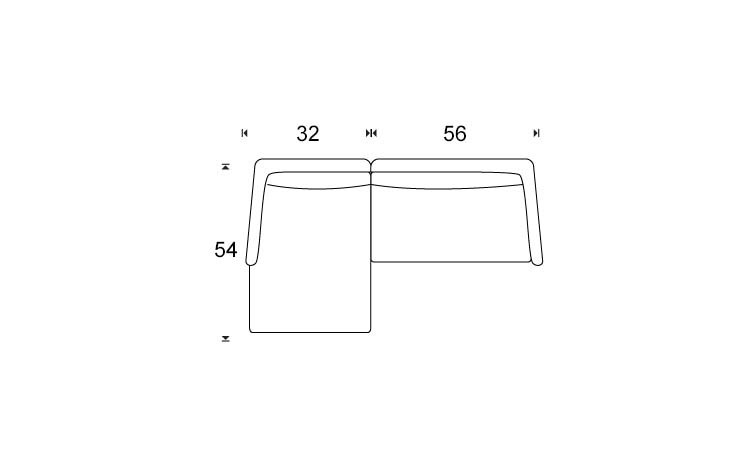 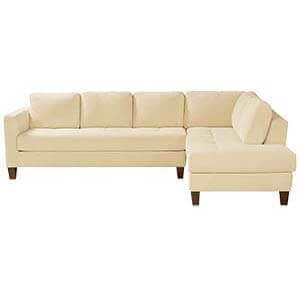 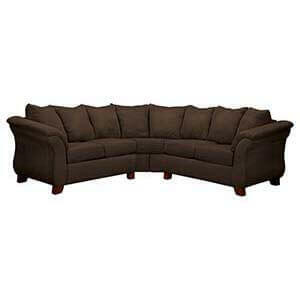 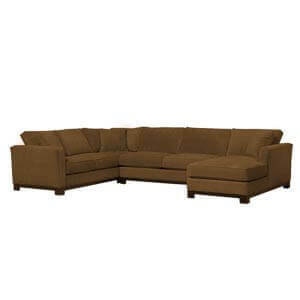 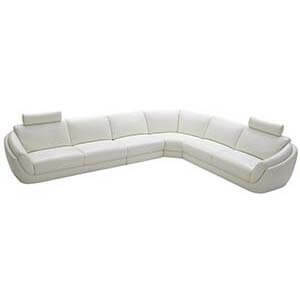 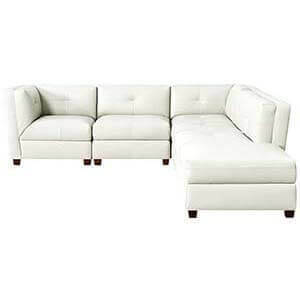 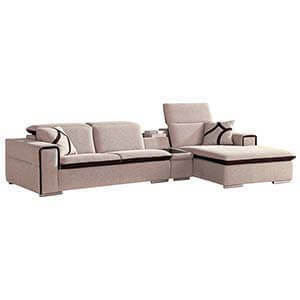 Perfectly handcrafted and hand finished this two seater sectional sofa is all about the swank.